Steven Gerrard, Frank Lampard, Thierry Henry, and Patrick Vieira were all, at one time, the greatest players playing together in the Premier League. And now, there’s another similarity between the lot. Each one of them is now a manager of a football club, making these times exciting and the future promising. Another name that was often used with greatness amongst this bunch was that of Paul Scholes, a man who is reportedly set to venture out into his managerial debut soon. The Manchester United legend has been a pundit since hanging up his playing boots, and it is fair to say he’s been anything but shy about voicing his brutally honest opinions. 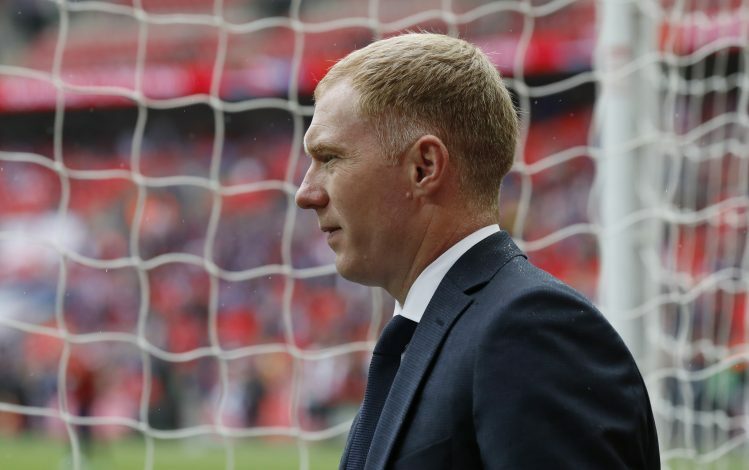 However, according to rumours written in the Telegraph, Scholes is all set to be appointed as manager of Oldham Athletic within the coming 24 hours, after having held talks with the League 2 side. The club was a favourite of Scholes’ as a boy, and with them currently 12th in the 4th tier of English football, it seems to be the perfect time for him to come in and steady a sinking ship. The former England international is an 11-time Premier League winner with the Red Devils – enough experience for any dressing room to be inspired and pumped to perform. He is also a part-time owner of Salford City with the class of ’92, while also jointly being the caretaker-manager of their side in 2015. The player was without doubt one of the greatest midfielders to have graced English football, and with traits of discipline, loyalty and perfection running through his veins, Oldham could very well be in for a promising few years ahead.